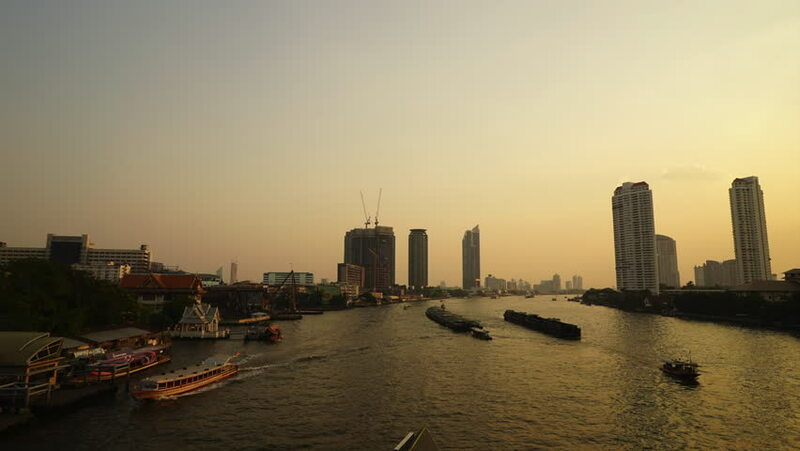 Bangkok, Thailand - MARCH 1, 2017 : Time-Lapse Chao Phraya river in Sathorn form Taksin bridge at sunset. 4k00:10Bangkok, Thailand - MARCH 1, 2017 : Time-Lapse Chao Phraya river in Sathorn form Taksin bridge at sunset. hd00:10Bangkok, Thailand - MARCH 1, 2017 : Zoom-out Time-Lapse Chao Phraya river in Sathorn form Taksin bridge at sunset. hd00:10Bangkok, Thailand - MARCH 1, 2017 : Dolly/Pan Right Time-Lapse Chao Phraya river in Sathorn form Taksin bridge at sunset.